With good reason the annual Jamboree sponsored by the Southern California Genealogical Society and held each June at the Burbank Airport Hilton is one of the biggest and best genealogy events in the US. When I lived on the West Coast, I attended each year except when I worked on the other end of my family tree by being present for the birth of a grandson in Nashville. Now I live in Nashville. I was torn as to whether or not I could justify attending Jamboree. As some of you may know, this is the year I am quitting the American Library Association "cold turkey". After attending 42 consecutive annual conferences and almost all Midwinter sessions, it was time to move on. Over the years I had been an active member of almost every committee or task force of ALA that had to do with personnel, education and ethics. Actually, I had originally intended to make my exit two years ago. However, I was offered the one assignment I could not turn down -- chair of the genealogy committee. I have constructed a "methadone" schedule to ease my exit from ALA. In February I attended my first RootsTech conference in Salt Lake City. Any conference there has the double attraction of being near the Family History Library. The Library is within walking distance from our time share where I long have been spending two weeks a year to do research. My second week there this year will be in August during The Federation of East European Family History Societies Research Workshop. The 9th International Genetic Genealogy Conference sponsored by FTDNA for project administrators is, to me, a must attend event. It will be in Houston on November 9-10. As I was creating my post-ALA professional schedule, I was torn about kind of "group" meeting to attend between February and August. I really was not thrilled about NGS in Las Vegas. Next year in Richmond is much more appealing. Then the Southern California Genealogical Society and the International Society of Genetic Genealogists (ISOGG) upped the ante. They added a full day FAMILY HISTORY AND DNA: GENETIC GENEALOGY IN 2013. It is hard to imagine a more prestigous I was hooked and immediately registered. I even agreed to facilitate one of the discussion groups the last hour of the day. If you can be in Burbank that day, you will be in for a treat. All of these sessions should be first-rate. 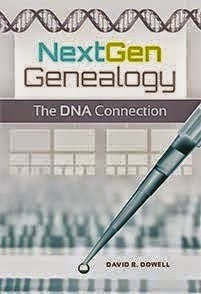 If your interest is in the application of DNA to family history, you should try to watch the late afternoon (Pacific time) panel which will also include Katherine Borges, co-founder of ISOGG, as well as the listed luminaries who are at the cutting edge of genetic genealogy. It appears that one must register for each "event" separately. Apparently the registration process is working well for those in the US and Canada but somewhat problematically for those outside these two countries. Dr D would be very interested in the experiences of any of you who watch or attempt to watch any of these streams. FamilySearch has ambitious plans to stream some of RootsTech next February. TLC BREATHES NEW LIFE INTO “Who Do You Think You Are?”All-new episodes, helmed by EPs Lisa Kudrow & Dan Bucatinsky, set to premiere July 23 TLC has ordered all-new episodes of the fan-favorite reality series Who Do You Think You Are?, with production already underway, the network announced today. Celebrities such as Christina Applegate, Cindy Crawford, Zooey Deschanel, and Chris O’Donnell have signed up for the emotional journey, with additional subjects to be announced. Each discovers amazing details about their family trees’ deep roots. While we wait for that celebrity reality show to resume we have a very offbeat genealogy show to tide us over. You may either love this show or hate it and it may take you ten or fifteen minutes to decide. You may want to read a New York Times review or an Los Angeles Times review to help you know what to expect. The first two episodes of Family Tree have already aired and can be viewed online. Labels: Chris O'Dowd, Family Tree (HBO); Lisa Kudrow; Christina Applegate;Cindy Crawford; Zooey Deschanel; Chris O'Donnell, Who Do You Think Your Are? Angelina’s Jolie’s announcement in today’s New York Times op-ed, “My Medical Choice”, that she has had a double mastectomy is so timely for me. I just finished Jeff Wheelwright’s, TheWandering Gene and the Indian Princess. The book traces the BRCA1 and BRCA2 genes through a large extended family in the Southwestern United States. Although the book wanders through many other historical social and religious threads, the main focus is how the BRCA genes are inherited and chronicles the decisions many women faced in dealing with the results. Also, the AMP v. Myriad Genetics case now before the US Supreme Court will refocus attention to whether the tests for these genes can patented and thus create a monopoly which allows Myriad to profit handsomely from the test. Although I’ll not go into the legal intricacies here, you can read the plaintiff’s (ACLU’s) viewpoint for yourself. 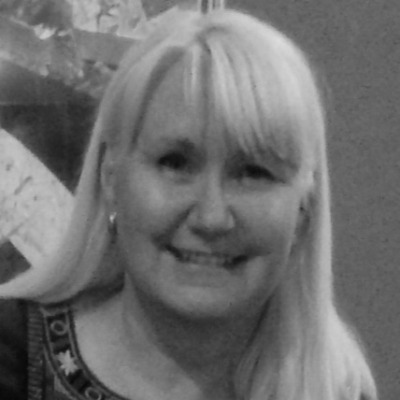 Additional background can be found at Judy Russell’s The Legal Genealogist blog. The bottom line for this post is that the price Myriad is able to charge discourages many women from seeking testing that may be critical to their informed health decisions and/or their peace of mind. Look for the Supreme Courts’ decision around the end of June. On May 12th HBO will launch the first of eight episodes of Family Tree. This is not your typical "this is your life" genealogy program. It is a comedy. Wikipedia calls this genre a "mockumentary" which it defines as "a type of film or television show in which fictional events are presented in a documentary style to create a parody." "The show follows a young man investigating his lineage, going from the UK to Los Angeles. The series stars Bridemaids and The IT Crowd-actor Chris O`Dowd, who also have appeared on GIRLS. The rest of the cast varies from British actors like the comedienne Nina Conti to known american actors like Ed Begely Jr. and Fred Willard. The series is created by Christopher Guest (The Spinal Tap) and Jim Piddock. Like Guest other work this is a mockumentary-show where most of the dialogue is improvised." The series is also scheduled to air on BBC Two and will debut On Demand on May 13th. For more information check the official show website.